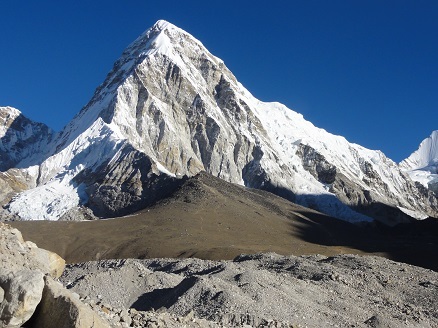 The Everest Three Passes trek is one of the most popular, challenging and adventurous high pass trek, as well as one of the highest levels of trekking adventure in the Everest region of Nepal. 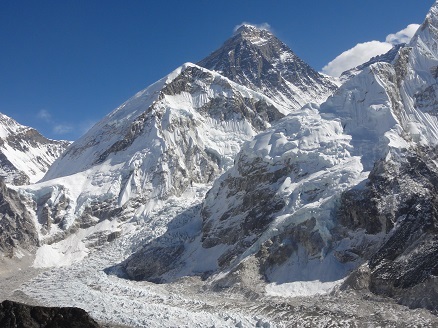 It is probably the most popular destination in the Everest region. 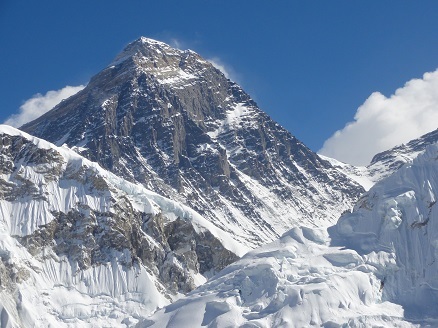 The Everest Three High Passes are Renjo La (5446 m), Cho La (5420 m) and Kongma La (5535 m). 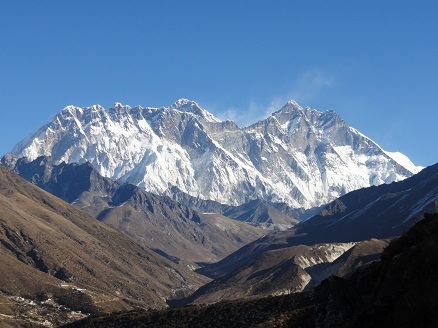 The Three Passes trek is an amazing opportunity to experience four of the eight world's highest peaks - Lhotse (8516 m), Makalu (8463 m), Cho Oyu (8201 m) and the top of the world, Mount Everest (8848 m) as well as other major mountain peaks, Himalayan glacier and high valley. 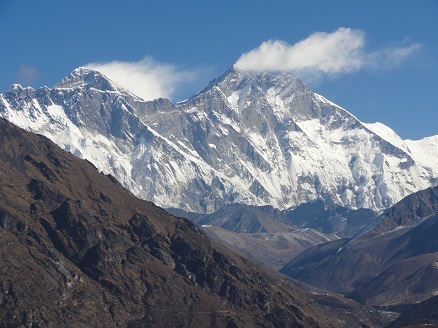 The Everest Three Passes trek is an once in a lifetime experience. Please contact us for the price and quotation. Day 9: Dingboche to Chhukung (4730 m) walking 3-4 hours. After lunch, climb to Chhukum Ri (5550 m) walking 3-4 hours. Overnight in guest house (B,L,D). 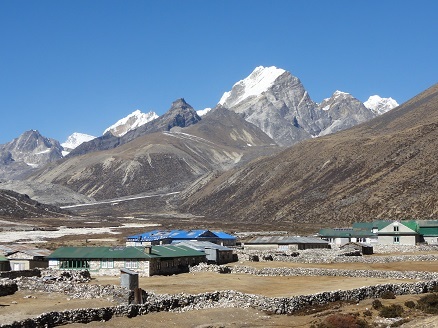 Day 10: Chhukum Ri to Lobuche (4900 m) via Kongma La (5535 m) walking 8-9 hours, Overnight in guest house (B,L,D). 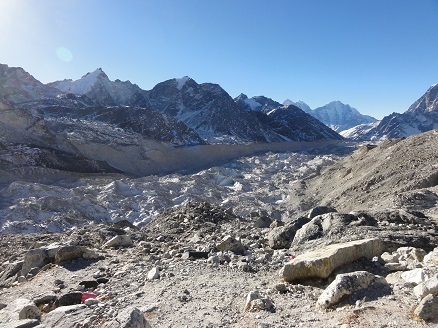 Day 11: Lobuche to Gorak Shep (5160 m) walking 4-5 hours. 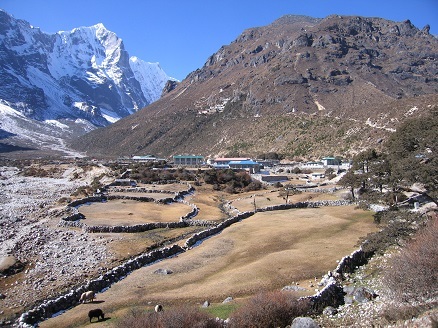 Enjoy lunch in Gorak Shep, then walk 1-2 hours to Everest Base Camp. Soak in the atmosphere and walk back to Gorakshep. Overnight in guest house (B,L,D). 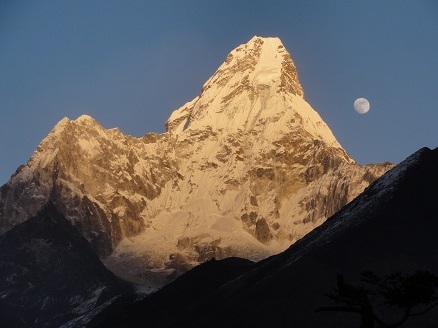 Day 12: Early morning, hike 2-3 hours to Kalapathar for spectacular sunrise view with Mount Everest as the backdrop, then walk to Zongla (4830 m), 3-4 hours. Overnight in guest house (B,L,D). Day 13: Zongla to Cho La (5330 m) and then continue to Thangna (4700 m) walking 7-8 hours (up and down). Overnight in guest house (B,L,D). Day 14: Thangna to Gokyo (4790 m), walking 3-4 hours. Overnight in guest house (B,L,D). Day 15: Rest day in Gokyo. 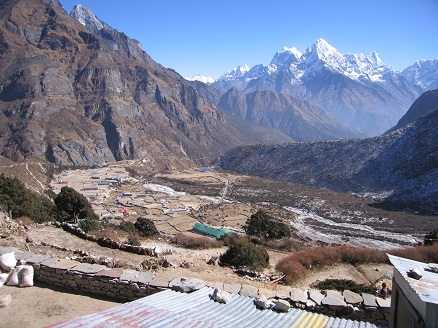 Hike to Gokyo Ri and return to Gokyo. Overnight in guest house (B,L,D). 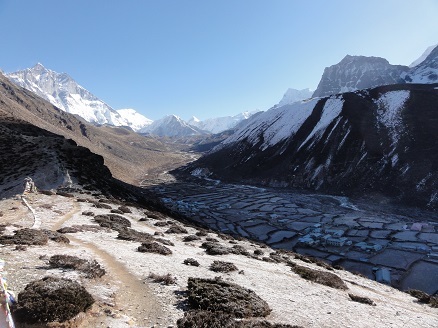 Day 16: Gokyo to Renjo La (5340 m) and down to Marulung (4210 m), walking 7-8 hours. Overnight in guest house (B,L,D). Day 17: Marulung to Thame (3820 m), walking 3-4 hours. Overnight in guest house (B,L,D). 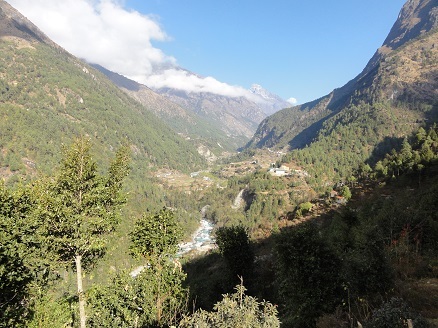 Day 18: Thame to Namche Bazar (3440 m), walking 2-3 hours. Overnight in guest house (B,L,D). 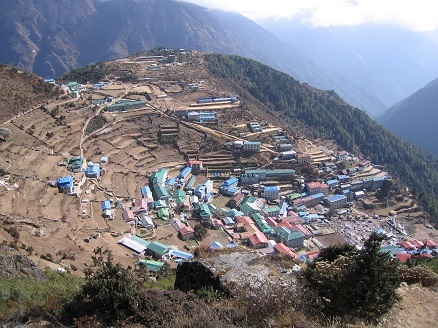 Day 19: Namche Bazaar to Lukla (2860m) walking 5-6 hours. The trek concludes in Lukla. Overnight in guest house (B,L,D). Day 20: Early morning, we take a 30 minute flight from Lukla back to Kathmandu. You will then be transferred from the airport to your hotel in a private car (B). Day 21: Final day of the trip. We bid you farewell as our representative transfers you from your hotel to Tribhuvan International Airport for your departure from the beautiful Himalayan country. We hope to welcome you back soon for your next adventure in Nepal (B).